If you're going to be confronted by long ascents on your next caving adventure, the combination of a chest ascender and foot ascender is the way to go. And the Camp Turbofoot destro for the right shoe and the Turbofoot sinistro are just the thing for you! The foot ascenders boast an optimised strap design for a secure fit. Thanks to the low-friction rollers, the ascenders allow for a smooth interface with the rope. The rope is thus exposed to less wear and tear. Plus, this also serves to reduce the wear on the device. The toothed cam is finished with a special anti-wear treatment and equipped with special drain holes to help prevent the build up of mud, grit and ice. 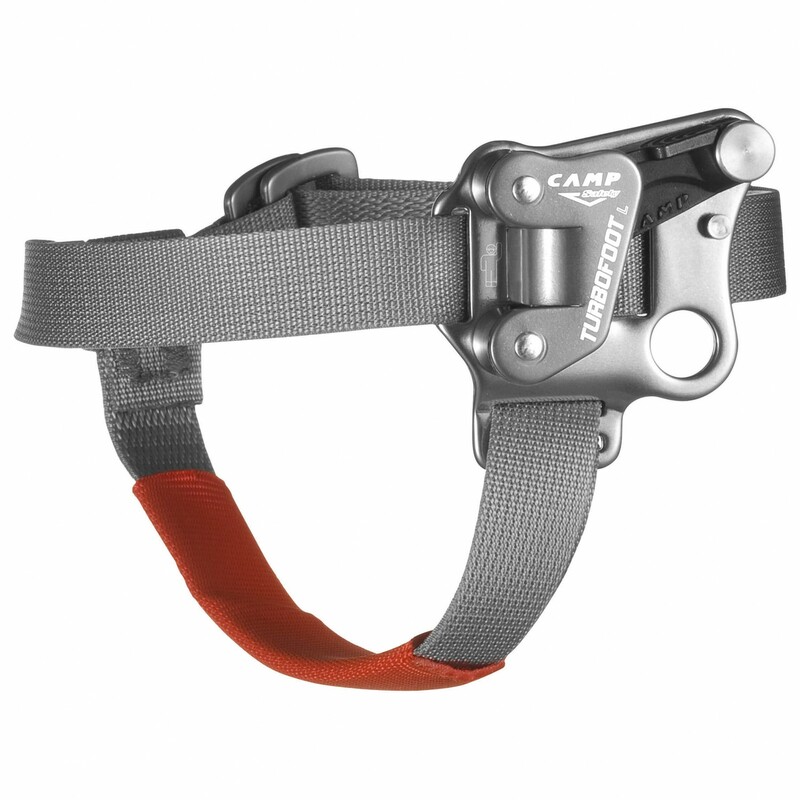 In addition, the Camp Turbofoot can be used as locking pulley for light hauling (max load of 50 kg or 110 lbs). The foot ascender is not intended for securing or hauling people. "Löydän parhaat ja uusimmat ulkoilutuotteet sinulle!"